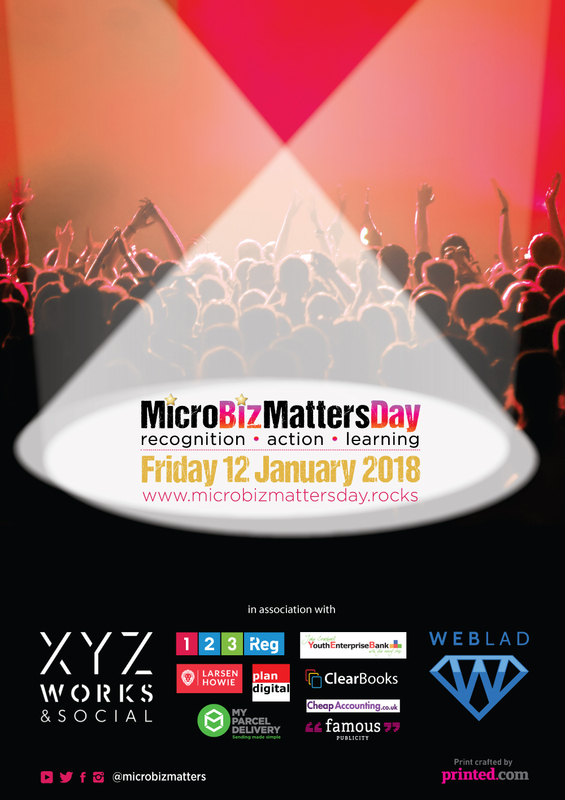 #MicroBizMatters Day is the only annual day of recognition, action and learning for micro business owners anywhere, those that employ 0 to 9 or turnover up to £2 million annually. Co-founded by Tina Boden and Tony Robinson OBE, this is the fourth annual day of recognition, action and learning where micro business owners, just like me, come together to share ideas, experiences and generally support each other as much as we can. 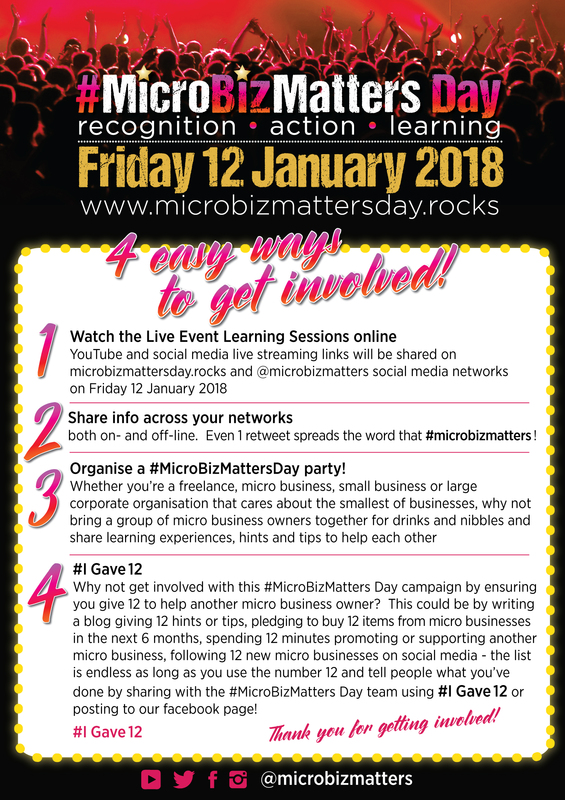 I've been the Head Roadie for Design for #MicroBizMatters for four years now, and I’m delighted to be working with Tina and Tony supporting #MicroBizMatters Day again this year. The struggling economy of the last few years has been the driver behind a massive increase in the number of microbusinesses, and with so many people in the same boat, it’s created a community of people across the UK and beyond who are incredibly keen to help and support each other to thrive and succeed. Tony and Tina have recognised this and have used their knowledge and experience of running and helping small businesses to set up Enterprise Rockers, creating #MBMD as a highly effective mechanism to encourage us to be successful too! As a microbusiness myself (just me and my mac! ), I’m well aware how important it is to help and support other microbusinesses in a world controlled by huge organisations, to make our voices heard and prove that what we do provides a valued and much-needed resource. We have extensive experience, knowledge and skills, offering truly valuable services, and we can be rightfully proud of that. #MBMD is an opportunity to demonstrate just how great we are and show the business world that we should not be overlooked. Micro and small businesses offer huge advantages over bigger companies – we are more flexible, agile and responsive, we provide better value and a more personalised service – what’s not to love? This exciting day, with Tina and Tony championing our cause, can only be good for us, and that’s why I’m so proud to be a part of it.